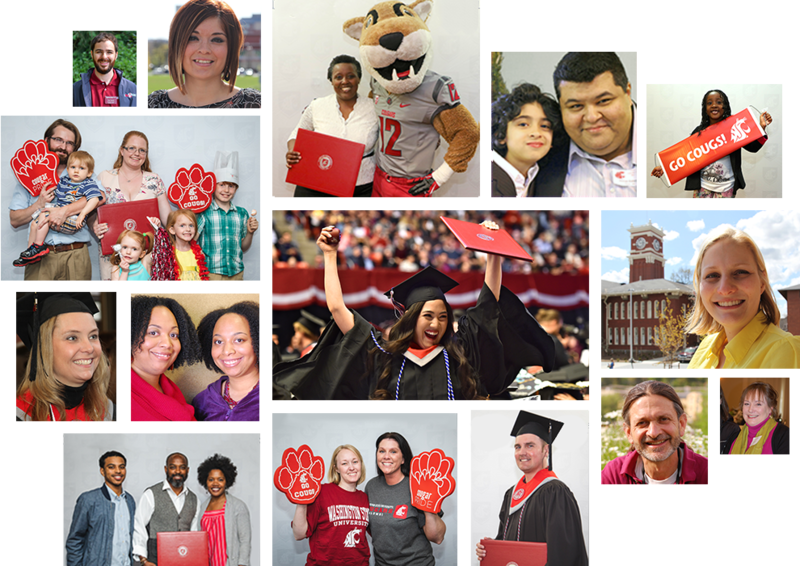 When you become a Global Campus student, you join a worldwide community of proud Cougs. Global Campus is dedicated to cultivating an authentic, holistic campus experience for online learners, no matter where they are in the world. Get involved in a wide variety of student engagement opportunities, including student government, live webinars, meet-ups, virtual clubs, and much more. Join a diverse, inclusive community where fellow Cougs can connect and support one another along their journey to academic success. WSU boats a powerful worldwide network of loyal Alumni passionate about connecting fellow Cougs to career opportunities. Discover how it feels to have the pride and prestige that comes with being a WSU Grad. Go Cougs!